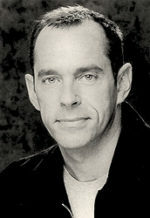 This image of Jackie Burroughs was scanned from an original press kit for A Winter Tan in the Northernstars Collection. Jackie Burroughs was born when all of England and most of Europe dreaded the possibility of war and desperately hoped for peace. She was just eight-months-old when war broke out. Although far removed from London and the south coast where German bombers and rockets did their worst damage, Lancashire was bombed during the war. As recently as August 2010 an unexploded shell was found by workman digging a trench. Burroughs obviously survived, living through the war and growing up under the privations of a harsh rationing system that began shortly after the outbreak of the war and continued until July 4, 1954. But by then she had escaped, her family having left England like so many others, to come to Canada. They arrived in Toronto in 1952. Learn more about Jackie Burroughs. 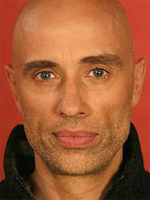 The image above was scanned from an original German press kit for A Winter Tan in the Northernstars Collection. The poster for A Winter Tan was scanned from an original in the Northernstars Collection. 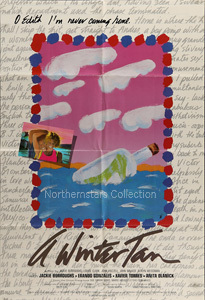 This poster for A Winter Tan was scanned from an original in the Northernstars Collection.